Lisbon, Portugal – the City of Seven Hills – has an intriguing past and soulful vibe. Shaped by royalty, religion, the Age of Discovery and the 1755 Great Lisbon Earthquake, the city’s fascinating history can be found in the architecture, traditions and food. Filled with historic sights and scenic landscapes, spending 3 days in Lisbon is an ideal amount of time to get acquainted with the city – and we feature the highlights in our Lisbon itinerary. On our first trip to Lisbon in 2010, we booked three days in Lisbon as part of a larger Portugal itinerary. We bought a guidebook that outlined Lisbon must-see sights, but we made no other effort to plan our time in the city. Once we arrived, we struggled – really struggled – to understand the love and hype of Lisbon. The hills were steeper than we anticipated. The weather was hotter than we anticipated. And our city sightseeing Lisbon guidebook was less helpful than we anticipated. Four years later, we returned with open minds. 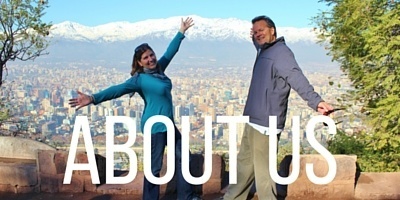 We had obviously missed something – because everyone we talked to raved about the city. With two weeks in Lisbon and a much better plan, we were quick to see how wrong our first impressions were. We fell in love with Lisbon! In 2019, we revisited the city again – this time staying for five weeks. While reminiscing about our first-trip debacle, we compiled 3 perfect days in Lisbon that highlight the best of the city – an itinerary we wished we would have had for our first trip to Lisbon. Our 3-Day Lisbon Itinerary is packed with top Lisbon activities and experiences. We have included a helpful Lisbon map of all the sights at the end of the post. However, we highly recommend purchasing a Lisbon tourist map in advance of your trip (like this one on Amazon!). Understanding the layout of the city will help immensely when trying to navigate the streets. Still undecided on how many days in Lisbon to plan for your trip? We include sample Lisbon itineraries at the end of the post for one day in Lisbon to one week in Lisbon. We also offer tips for popular Lisbon day tours and other essential information for your Lisbon, Portugal travel itinerary. 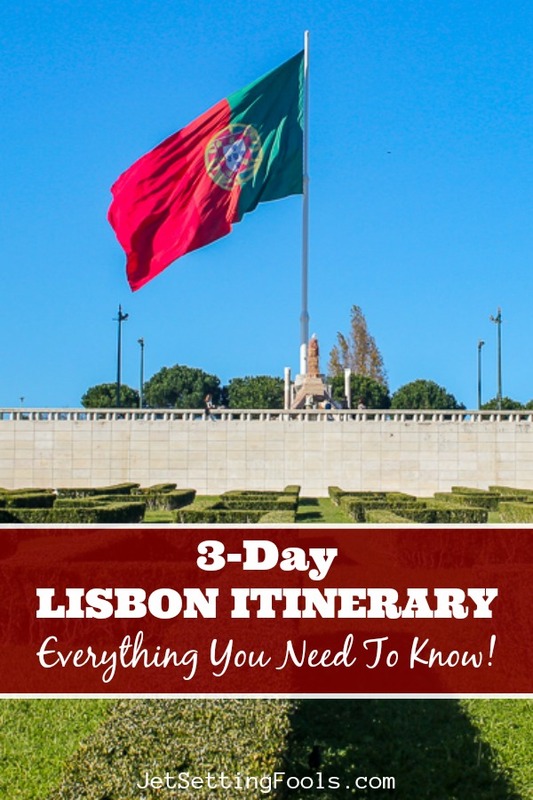 Our post is filled with detailed tips for what to do in Lisbon for 3 days! Make sure to Save, Pin or Bookmark this post for future reference! 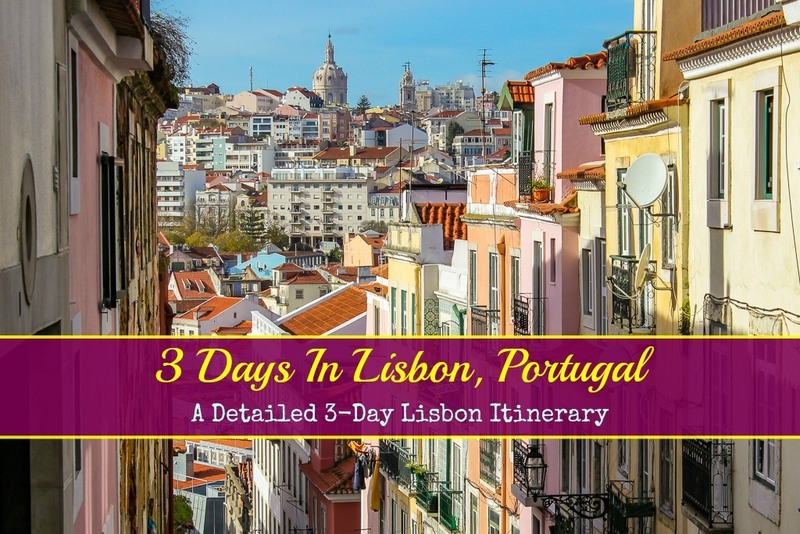 Our advice for things to see in Lisbon in 3 days includes full days of sightseeing. We focus on visiting the distinctly different Lisbon neighborhoods and finding the best vantage points in the city to take in the views and atmosphere. On Day 1 of your Lisbon travel itinerary, visit top sights and learn about the history of the city on a Lisbon city tour then, in the afternoon and into the evening, explore further on the streets of the famous Alfama district. Discover Lisbon landmarks and hear stories of the past on a walking tour of Lisbon. Stroll through the city’s iconic neighborhoods, like Bairro Alto and Baixa, while gaining a deeper understanding of the events that shaped the city. 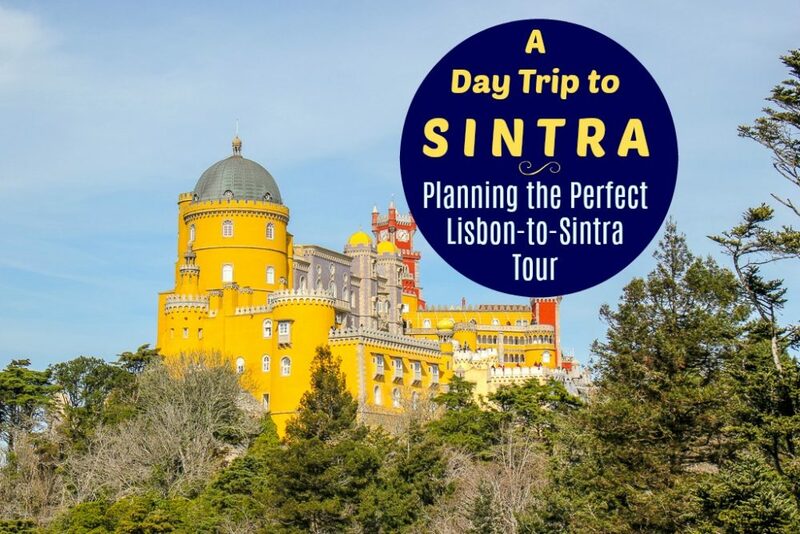 Join a guide on a popular Lisbon sightseeing tour – like the Free Lisbon Walking Tour by Sandemans New Europe (tip-based) or this highly-rated City Tour Lisbon on Viator. Built on the site of the Royal Ribeira Palace (which was destroyed in the 1755 earthquake), Praca do Comercio is the most regal square in Lisbon. Opening to the Tagus river, the square once functioned as the center of the city’s commerce and port authority. The square is framed on three sides by yellow, arcaded buildings, which house museums, restaurants, cafes and government offices. When the square was built, it utilized the existing staircase that originates in the river (and once led directly into the palace). From the stairs, visitors can walk in a straight line – passing the equestrian statue of King Jose I, walking under the opulent Arco da Rua Augusta arch, strolling down the long shopping street – to Lisbon’s other main square, Praca do Rossio. Find a place for lunch on Praca do Comercio, like the historic Martinho da Arcada. Read reviews on the best Praca do Comercio restaurants on TripAdvisor. Top Tip: Budget travelers can make a quick detour to the west to the Cais do Sodre station and pick up inexpensive picnic items from Pingo Doce grocery store – then head back to Praca do Comercio and enjoy lunch on the waterfront steps. The Alfama district lies to the east of the city center and nods to the past with a tangle of narrow, cobblestone streets and laundry drying on lines outside windows. Home to many Lisbon top sights, the charm of the neighborhood comes alive on the less-traveled streets. It’s easy to get off the beaten path in Alfama by roaming – with no set agenda, except to get lost. The maze of alleys leads to quaint squares, small churches, hidden cafes and lookout points that are local hangouts. While exploring Alfama, you are certain to catch a glimpse of women in their screenless windows, gossiping with neighbors as they hang their sheets to dry. You will see trams rambling down tracks on streets barely wide enough for the carriage. Take note of the building exteriors – some covered in traditional tiles – azulejos – and others that are decorated with street art. And, when you find a local café with delectable pastries and inexpensive wine, take a seat and savor the ambiance of Alfama. While we encourage aimless wandering in Alfama, there are a few sights you won’t want to miss. We have listed the sights below – and you can use this map for a walking route…but don’t hesitate to make detours! 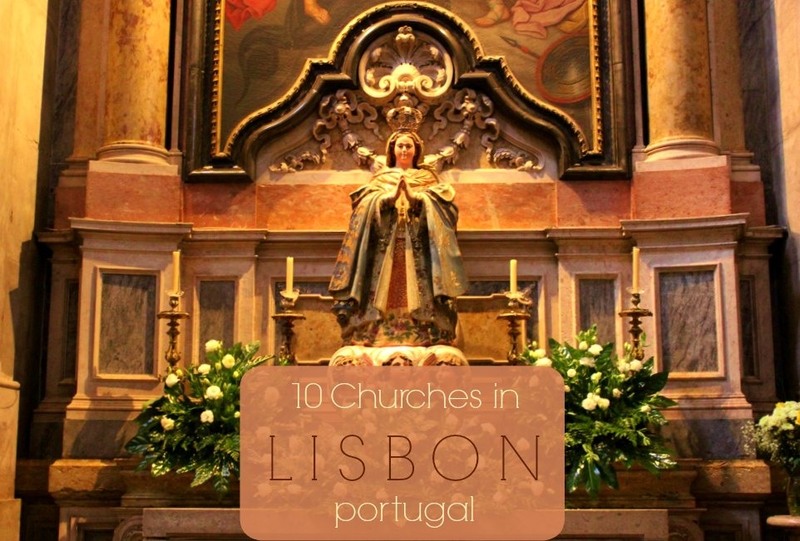 Use our Guide to Lisbon Churches and Scenic Lisbon Viewpoints posts for more detailed information. Built in 1147, the Lisbon Cathedral is the oldest church in the city. The stoic, fortress-like exterior matches the dimly-lit interior. It is free to enter the church, but a small fee is charged to enter the cloister where excavations have unearthed evidence of previous civilizations. Sitting in the shadow of the Se Lisbon Cathedral is a small church dedicated to St. Anthony of Padua, one of Lisbon’s patron saints. A chapel marks the birthplace of St. Anthony. Artwork telling the story of his life decorates the church. Santa Luzia and Portas do Sol are two popular city viewpoints – or miradouros. The views from Santa Luzia – which features a rectangular fountain, traditional tiles and a trellised archway – offers panoramic views over the Tagus River. The smaller Portas do Sol provides views of two historic sites in Alfama: Sao Vicente de Fora and the domed National Pantheon. The hill-topping Castelo de Sao Jorge is one of the top Lisbon tourist attractions. Dating to the 11th century, the fortifications were built to protect soldiers in the case of an attack (not as a royal residence). Within the castle grounds guests can visit a permanent history exhibition, an archaeological site, gardens and viewpoints. Tickets are required and can be purchased in advance. A monastery was built for the Augustinian Order in 1147 – and the adjacent Igreja Sao Vicente de Fora (dedicated to Lisbon’s official patron saint, St. Vincent) was added in the early 1600s. The church is free to be explored and the accompanying museum (which charges a small fee) features artworks and a large display of traditional azulejo tiles. Museum visitors can also access the rooftop for city views. The enormous domed National Pantheon took an astounding 284 years to build. Inside, visitors will find sarcophaguses of some of Portugal’s most famous citizens – like Fado singer Amalia Rodrigues and poet Joao de Deus. Cenotaphs memorialize other celebrated Portuguese people – like Vasco da Gama and Henry the Navigator. Make sure to head up to the rooftop for views. A ticket is required to enter the Pantheon. The Thieves Market – or Feira da Ladra – is one of the city’s oldest and most interesting markets. The flea market sprawls east of the Pantheon into the streets of Alfama. Vendors peddle their wares from tables and blankets. The odd assortment of goods includes everything from high-priced antiques to used clothing to toiletry items. Note: The Feira da Ladra market only takes place on Tuesdays and Sundays. Providing phenomenal views of Castelo de Sao Jorge and the Lisbon city center, Miradouro Graca is a popular gathering point at sunset. Benches are arranged under leafy trees and an on-site café serves cold beers. If the nearby Graca Church doors are open, we recommend popping in for a quick look. Top Tip: For an even better viewpoint, trek uphill just a bit more to Miradoura da Nossa Senhora do Monte. Some say Fado was born in the streets of Alfama. The musical genre is best known as being melancholy, heartbreaking and stirring. There are many places throughout the city that offer Fado experiences (from amateurs to professionals, which are priced accordingly). We recommend booking ahead if you want to ensure a seat for a Fado dinner performance. Some of the top-rated Fado restaurants in Alfama are Sr. Fado de Alfama (reviews), Clube de Fado (reviews) and Parreirinha de Alfama (reviews). Most of the second day of your Lisbon three-day itinerary will be spent on short Lisbon excursions to Belem and the Cristo Rei statue. Be back in the Lisbon city centre for an evening of fun! The riverside town of Belem is just 4 miles from the center of Lisbon – and an absolute gem! 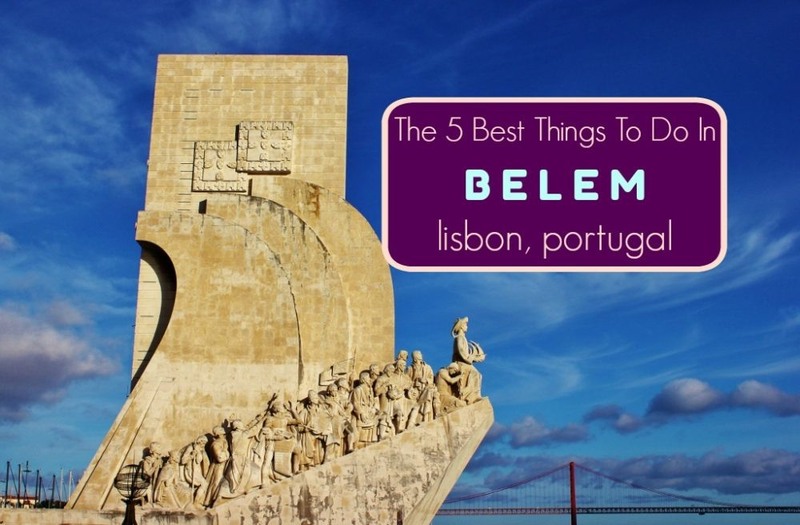 Well-connected to the city by public transport (bus, train and tram) and even a riverside walking path, it’s an easy trip to Belem from Lisbon. The top sights in Belem include the Belem Tower, Monument to the Discoveries and Jeronimos Monastery. Visitors should also stop at Pasteis de Belem for a taste of the most famous Portuguese custard tart and spend some time walking along the picturesque shoreline. Origins of Lisbon’s Mercado da Ribeira Velha date to the 1100s – and the market reigned as one of the thriving food markets for centuries. However, in modern times, many aspects of the market became obsolete (such as the chicken slaughterhouse and wholesale market), which nearly led to the closure of the remaining market. However, in a partnership with Time Out Magazine, the market was completely revitalized in 2014 and transformed into a foodie haven. The main market hall now features 40 restaurant stalls – which are manned by the city’s top chefs – where guests can dine on traditional and innovative Portuguese cuisine. We recommend indulging in classic fare, such as the famous Porto sandwich Francesinha, from Miguel Castro e Silva or the Plate of the Day from Marlene Vieira. Wherever you eat, don’t leave the market without at least one custard tart from Manteigaria! 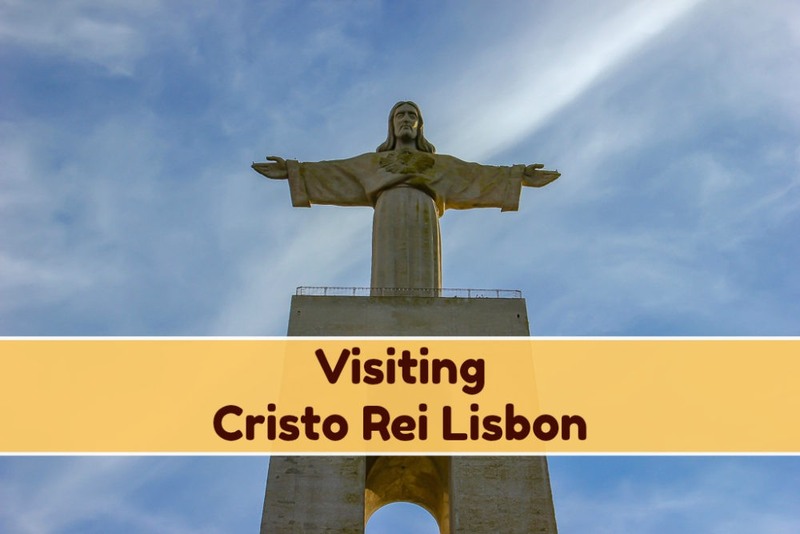 After lunch, hop on a ferry for a ride across the Tagus River to visit the dominating Cristo Rei statue on the south bank. Officially called the National Sanctuary of Christ the King, the statue is reminiscent of the Christ Redeemer statue that stands over Rio De Janeiro, Brazil. Built in the 1950s, the Lisbon monument is just one sight in the complex. Other places to visit at Cristo Rei include a chapel, sanctuary, Stations of the Cross, gardens and galleries. The 92-foot-tall statue stands on a 269-foot-tall platform, which can be visited for incredible city views (for a small fee). Once back on the north side of the river, choose a spot to watch sunset, either on the riverfront Ribeira da Naus or with an elevated perch at Miradouro de Santa Catarina. Both locations are sure to have a mix of locals and tourists enjoying the scenery. Top Tip: If you decide to head up to Miradouro de Santa Catarina, rather than making the uphill climb, take the convenient (and fun!) Elevador da Bica. The once-seedy Cais do Sodre district has seen a significant transformation in just a few years’ time. After Time Out gathered top eats under one roof at Mercado de Ribeira and city projects spruced up the district, Cais do Sodre quickly emerged as a hip hangout. Chic restaurants and fashionable clubs have infiltrated the neighborhood, making it one of the new go-to spots in the city. Visitors who want to party ‘til dawn should check out the clubs on Pink Street. Top Tip: Not up for an all-night party? (It’s okay, we aren’t either.) There are still plenty of stylish places to have a drink. Craft beer aficionados will want to check out Crafty Corner (reviews); wine enthusiasts should go to The Wine Cellar (reviews); and cocktails are the drink of choice at the popular and quirky Pensao Amor (reviews). 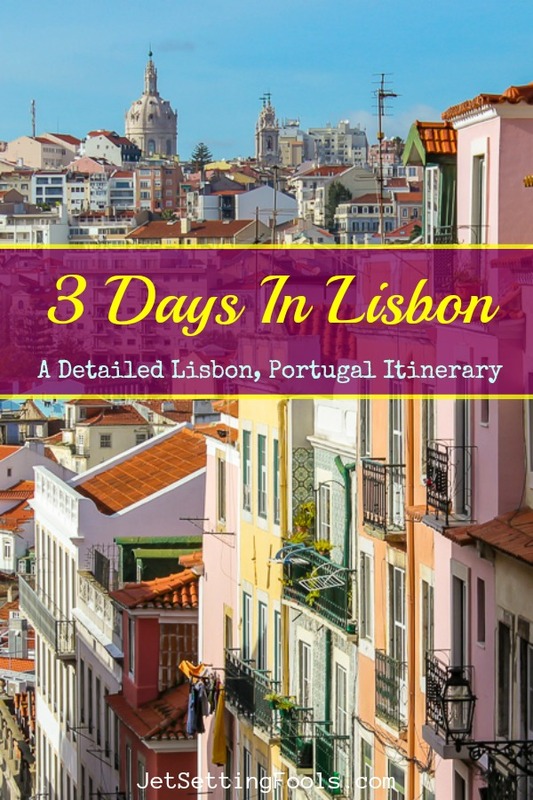 Day 3 of your 3-Day Itinerary for Lisbon, Portugal can be spent two ways: Discovering the west-side Lapa District or going on a Sintra tour from Lisbon. Either way, spend the last evening of your trip to Lisbon back in the center of the city. Below, we outline the sights of Lapa; options for day tours from Lisbon are listed in the next section. Riding a tram through the city is an essential Lisbon experience. The historic yellow carriages on the Lisbon Tram 28 line are a favorite for tourists. Not only because they are charming, but because the route passes through the best neighborhoods – Graca, Alfama, Baixa and Lapa. Jump onboard a westbound Tram 28 to the final stop – Campo Ourique/Prazeres – to start your exploration of the Lapa District. Top Tip: Tram fare can be purchased from the driver and paid in cash (€3 each ride). For a reduced fare, use a Viva Viagem pre-loaded transportation card, which can be purchased in Metro stations. 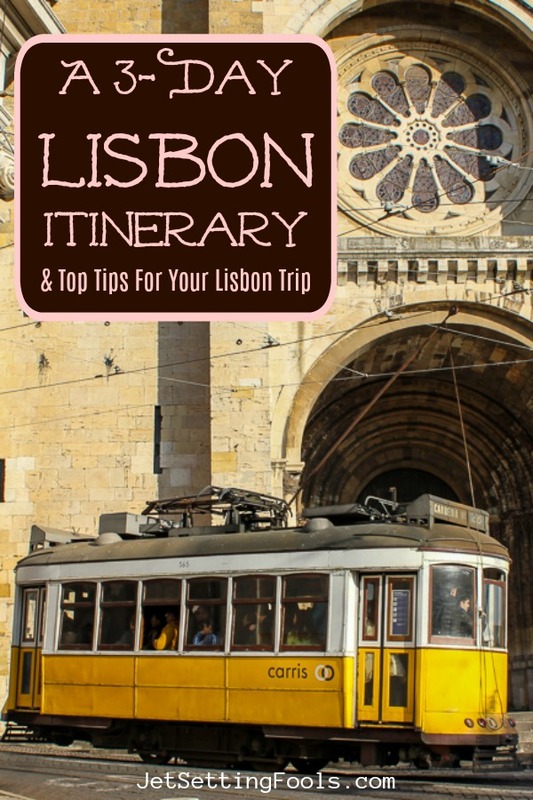 More information on Lisbon Public Transport at the end of the post! Some people may think it is eerie to visit a cemetery, but the Lisbon Cemiterio dos Prazeres is one of the most beautiful and peaceful places in the city. Founded in 1833, the cemetery is the final resting place for some of the city’s most elite residents. The cemetery walkways are lined with ornate mausoleums and elaborate tombstones. From the west end of the cemetery, visitors have sweeping views of the 25 de Abril Bridge, Tagus River and Cristo Rei. Top Tip: The Tapada das Necessidades Park to the south of the cemetery is one of our favorite Lisbon parks! The former palace gardens now feature moss-covered walkways, abandoned structures and fountains. If you have time in your Lisbon itinerary, we highly recommend visiting! Similar to but on a much smaller scale than the revitalized Time Out Market, Campo de Ourique Market has a more intimate, community ambiance. The market hall dates to the 1930s and was renovated in 2013. Vendors craft traditional meals and Portuguese snacks – along with a good choice of international fare – that are devoured on-site or can be packed for take-away. For something to drink, we recommend an inexpensive (€12) bottle of special label Mercado de Campo de Ourique wine from Vihnos do Mercado. Although there are several temping desserts at Campo de Ourique Market, there’s something better just across the street: O Melhor Bolo de Chocolate do Mundo. The small bakery, whose name literally translates to The Best Chocolate Cake in the World, makes an outrageously incredible chocolate treat. The confection is layered with melt-in-your-mouth chocolate like we’ve never before experienced. After one slice, we were tempted to buy a whole cake! The towering dome of Basilica da Estrela can be seen from afar…and is even more impressive from up-close. The church was built in the late 1700s and features intricately designed colored marble throughout. For a small fee, visitors can take a peek at the 500-piece Nativity Scene that was created in 1785 and can climb to the rooftop dome for city views. Across the street from the basilica is the elegantly designed Estrela Park. The gardens feature exotic plants, a gazebo and a duck pond – and is filled mostly with locals sharing stories, walking their dogs or exercising. To return to the city center, forego the crammed Tram 28 and hop on a Tram 25 instead. The Lisbon Tram 25 picks up passengers right in front of the Estrela church, winds through a residential neighborhood and terminates at Praca da Figueira, which is exactly where you want to be to start your evening exploration! One of the most evocative churches in the city, Igreja de Sao Domingos was first built in 1241. Reduced to rubble in the 1755 earthquake, it was rebuilt…and destroyed by fire in 1959. During renovation, they decided to leave visible marks of fire damage throughout the church, which has a haunting effect. Ginjinha – or Ginja for short – is Lisbon’s sweet cherry liqueur and a must-try while in the city! The A Ginjinha bar opened in 1840 and was the first place to sell the liqueur, which at the time was used to cure common ailments. Today, visitors line up at A Ginjinha for a taste – and can order an inexpensive shot with or without a liquor-soaked cherry. Top Tip: From A Ginjinha, walk past the Teatro Nacional D Maria II through Praca do Rossio (both sights should be included on your Day 1 Lisbon Walking Tour) and pause to take in the sights of the majestic square before heading into the Bairro Alto district. Built in 1902 to allow passengers to get from Baixa to Bairro Alto without the steep climb, the Santa Justa elevator has become somewhat of a tourist attraction. Still useful for getting from Baixa to Bairro Alto, the 147-foot-tall observation deck is why many visitors take the ride up. Only a shell remains of the Carmo Convent and Church that was built in the late 1300s and destroyed in the 1755 earthquake; there is no roof over the stone arches. The church now houses a small archaeological museum (which requires a ticket). Top Tip: Try another brand of ginja, this time from Ginginha do Carmo where you can get the shot in a consumable chocolate cup. Behind the plain façade of Igreja de Sao Roque is one of the most ornate and glittering churches in the city. Featuring opulent Baroque architecture, the church is filled with colorful statues, historic tiles and masterpiece paintings. Take one last long look over the Lisbon Old Town from Miradouro de Sao Pedro de Alcantara. The two-level park features planned gardens, benches and fountains…and a stunning view of Castelo de Sao Jorge. Stay for sunset or spend the last light of the day wandering through Bairro Alto. After the sun goes down, Bairro Alto changes from a trendy shopping district with Bohemian roots to a lively and youthful nightlife destination. The narrow and hilly streets are lined with small restaurants and bars. For dinner, go to the favorite neighborhood spot, Toma La Da Ca; the local dishes are incredible (reviews). Top picks for places to go for a drink in Bairro Alto include PARK for cocktails-and-a-view (reviews), Cervejaria Artesanal Adamastor for craft beer (reviews) and Tasca do Chico for Fado (reviews). Our map of Lisbon includes markers on the sights we recommend seeing on your 3-day trip to Lisbon. In the Key, the sights are listed in the same order as in the post. The sights are color-coded by day; Day 1 = Teal, Day 2 = Navy, Day 3 = Blue. We think there are plenty of activities in Lisbon, Portugal to keep you busy for three days. However, taking one of the popular Lisbon day trips – like a day trip to Sintra – is difficult to resist. 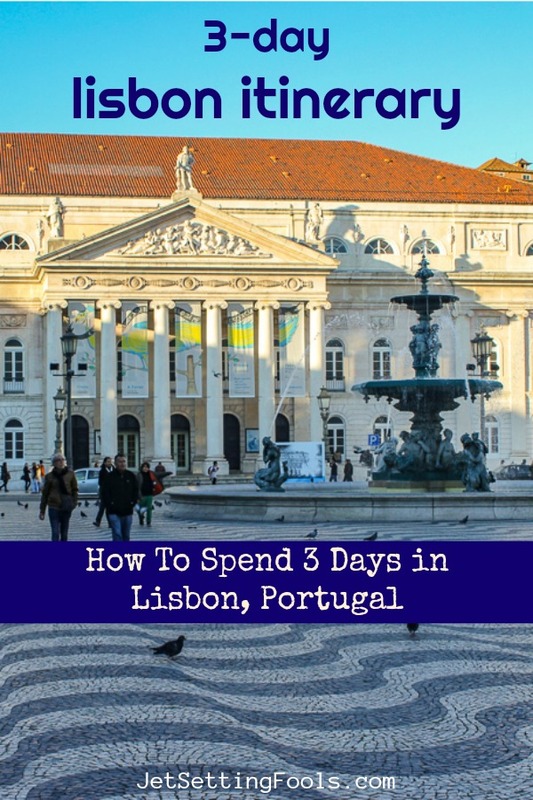 Depending on your travel style, you may want to condense our list of suggested places to visit in Lisbon in 3 days into Two Days in Lisbon so that you can venture outside of the city to nearby attractions. Lisbon’s proximity to the Atlantic coastline allows visitors several opportunities to spend a day at the beach. Public transportation can be used to get to many of the nearby beaches in Lisbon – like Cascais and Costa da Caparica. However, destinations like Berlenga Grande Island are best visited with an organized tour group (get the details here!) Top Tip: Most Cascais Beach Lisbon Tours combine a day at the beach with sightseeing Sintra as well. A Lisbon to Sintra day trip is the most popular city excursion. Tour participants set off on a full-day adventure to discover the sights of Sintra – the Pena Palace and Sintra National Palace – before heading to Roca Cape and Cascais Beach. 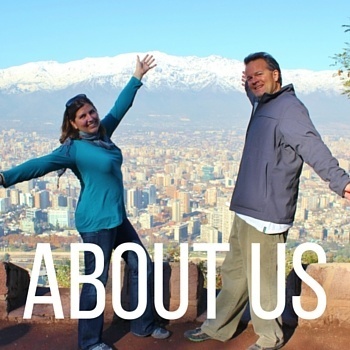 Check out the specific details of this highly-rated tour on Viator. Only have a few hours? Make the most of your short time in Lisbon with a fully-customizable Sintra Half-Day Tour. Find out more! Top Tip: Visit Sintra on your own with the help of our incredible detailed Lisbon-to-Sintra Guide! Enjoy a private tour in the beautiful Setubal wine region on a full-day trip from Lisbon. Enjoy sipping local wines while visiting two wineries and a spirit producer. Get the details here! See renowned Roman ruins on a day trip to Evora. The 8-hour journey includes visiting the Capela dos Ossos and Templo de Diana ruins, as well as lunch at a restaurant, wine at an Alentejo vineyard and a stop at the Arraiolos Castle. Book this tour! Travel to the countryside to visit three historic Portuguese towns – Fatima, Nazare and Obidos – on a highly-rated, small-group Lisbon day trip. Visit the Sanctuary of Fatima, Batalha Monastery and the Nazare cliffs. Details About This Trip! Take a journey to the north coast of Portugal with a private driver on an all-day tour from Lisbon to Porto. Learn the history of this UNESCO World Heritage city and taste the city’s famous Port Wine while enjoying incredible views of the Douro River. Find Out More! Not all Lisbon, Portugal tours leave the city! Join one of the Lisbon guided tours to learn more about this history and cuisine of the city. Lisbon Food and Wine Tour – Get the details! Sunset, Fado and Food-Tasting Tour – Find out more! Public transportation in Lisbon – which consists of trams, trains, buses, subways and ferries – is incredibly affordable. Rides cost even less when using the Viva Viagem transport card, which can be purchased in Metro stations. Getting around the city can take a bit of effort with all those hills, especially under the summer sun. Make it easier by using the Hop On Hop Off Lisbon, Portugal bus that makes stops at all the city’s top sights – including routes to Cristo Rei and Belem. Buy your tickets in advance! 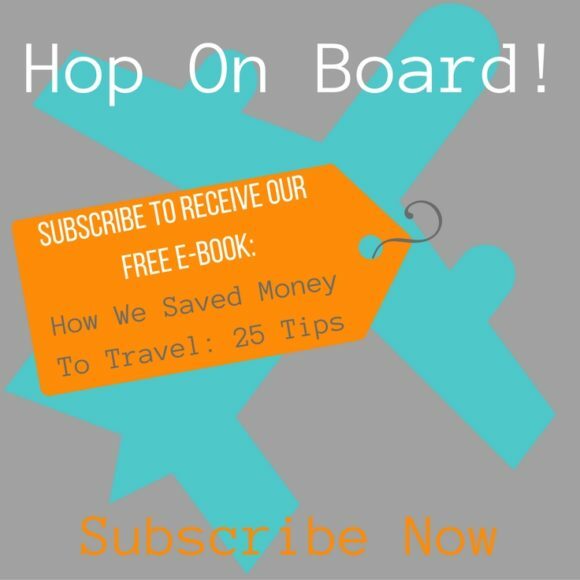 Looking for ways to save money on your Lisbon Trip? 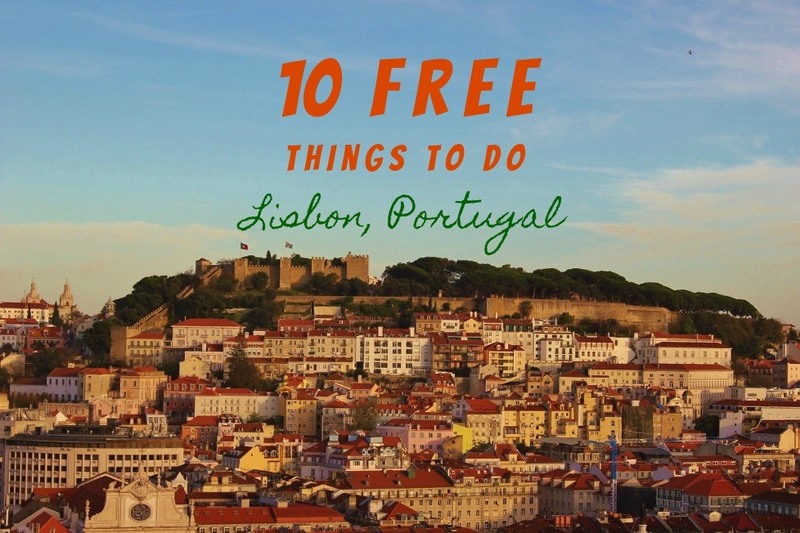 Check out our top recommendations for Free Things To Do in Lisbon, Portugal! 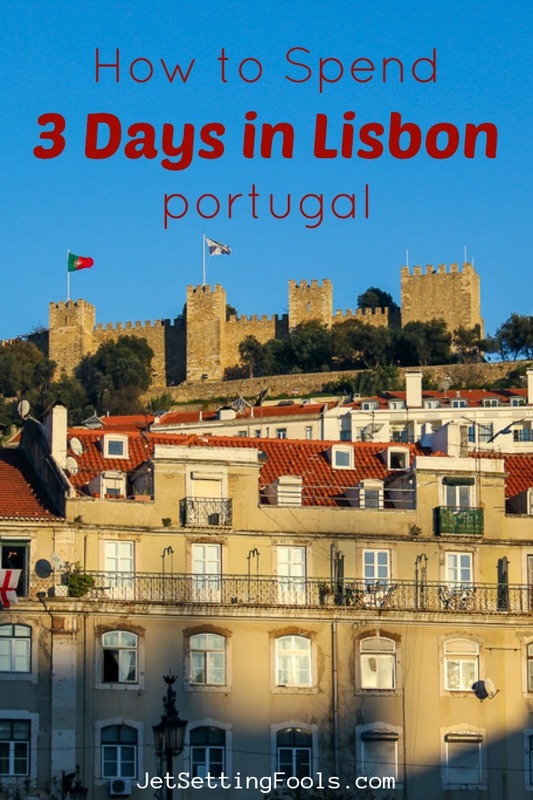 How Many Days to Spend in Lisbon? Whether you are trying to plan a weekend in Lisbon – or a week in Lisbon – we can help! Using our tips of what to see in Lisbon in 3 days as a base, we have created multiple suggested Lisbon itineraries for more – or less – time to help you plan your trip. We don’t recommend trying to see all of Lisbon in a day – it’s just not enough time. However, if a Lisbon one-day trip is all you have time for, then make the most of it! Use the above outlined Day 1 as a guide of what to see in Lisbon in one day. For a more ambitious Lisbon 1-Day Itinerary, take a morning walking tour, visit Belem mid-day and be back in Alfama by late afternoon to finish out your day. With 2 days in Lisbon it is possible to see a lot of the city! 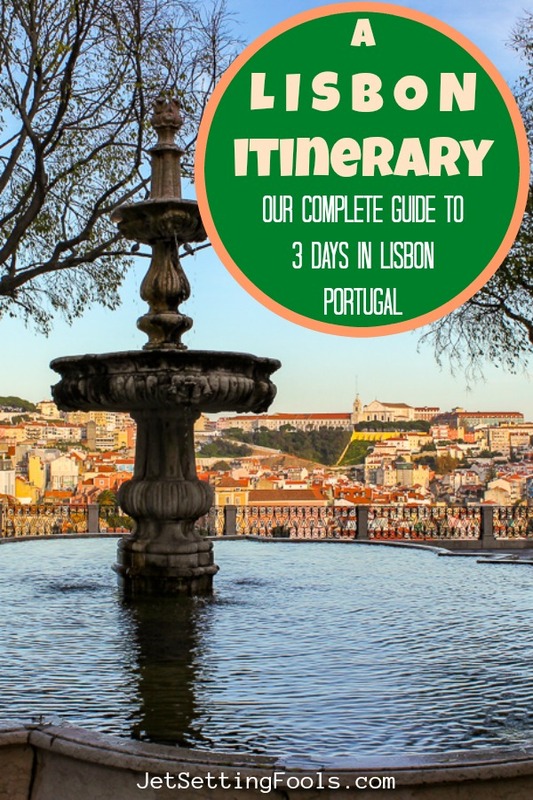 We recommend following Days 1 and 2 of our 3-Day Lisbon Itinerary. However, if you want to squeeze a few more things to see in Lisbon in 2 days, it is possible. Follow our ambitious Lisbon One-Day Itinerary (Walking Tour, Belem, Alfama) – then on Day 2, visit Cristo Rei in the morning, spend the afternoon in Lapa and the evening in Bairro Alto. With 4 days in Lisbon you will have plenty of time to see the city sights and go on one of the Lisbon trips to nearby destinations. We recommend following our detailed guide of what to visit in Lisbon in 3 days – then on the last day, take a full day trip from Lisbon to Sintra. With 5 days in Lisbon, you can really get a good feel for the city and surrounding sights! Follow our above recommendation of what to see in Lisbon in 4 days, then on the last day set off on an adventure to the south to visit the beaches of Costa da Caparica, the town of Sesimbra and the Arrabida Park. Visitors with 6 days in Lisbon have the opportunity to enjoy a relaxed trip and delve deeper into a favorite part of the city. We recommend following the above recommendations in our Lisbon 5-Day Itinerary – and then on the last day get to know a specific district a little bit better. Revisit a neighborhood, have a picnic in the park, go to a museum, tour more churches and sip wine at a café. Visitors with 7 days in Lisbon will still have plenty to do! With 1 week in Lisbon, we recommend using our above outline Lisbon itinerary for 6 days. On the last day, enjoy cultural experiences – like creating your own Tiles or becoming a traditional Tasca Waiter for a Day – then set sail at sunset for an evening cruise. During our trips to Lisbon, we have stayed in Airbnb Apartments (in the Alfama, Alcantara and Lapa districts) and at the posh Altis Belem Hotel and Spa. With only 3 nights in Lisbon, we recommend staying in the city center – but basing yourself in Belem is a good choice if you want a more relaxing stay. We have found that staying in Airbnb apartments is often less expensive than hotel rooms – with the added benefit of a kitchen and, usually, more space. Not already a member of Airbnb? Use this link to create an account and save money on your first stay! Lisbon can be reached by plane, train, bus or car. Our preferred method of getting anywhere is by flying (we are JetSetting Fools, after all!) and when we do need to purchase plane tickets, we start our search for cheap flights to Lisbon on Skyscanner. The Humberto Delgado Airport, where most flights to Lisbon will land, is the main Lisbon airport. If arriving/departing Lisbon by train or bus, there are several stations in the city. When booking travel by train or bus, pay close attention to the station of arrival/departure. We want to know: What do you think is the best way to spend 3 days in Lisbon? 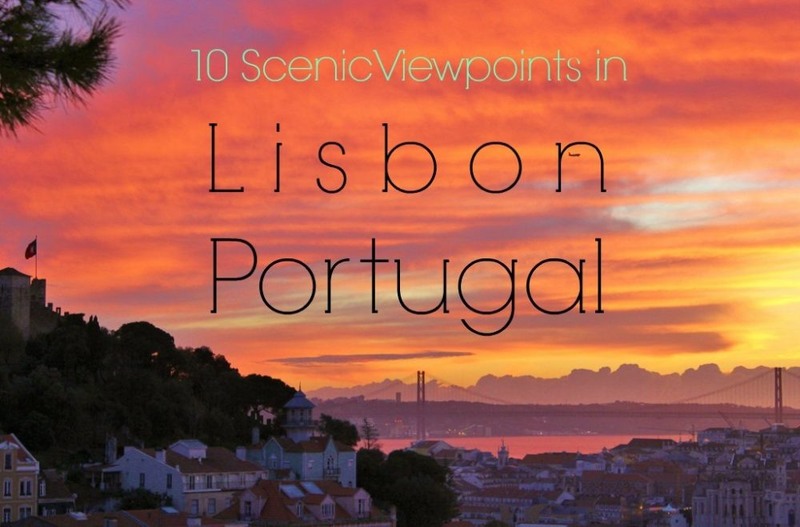 Anything you would add to our Lisbon Itinerary? Give us your best tips and advice in the comments!